Seabreeze01263 715779work01603 870304fax Self-cateringSeabreeze, a bungalow situated in the village of Heacham in North West Norfolk, is close to the beach and an ideal location to explore the attractions of the coastal town of Hunstanton, the delights of Sandringham and the Norfolk coast and countryside. Heacham is also famous for Norfolk Lavender with its centre, grounds and shop offering a range of lavender products. A front view of Seabreeze. 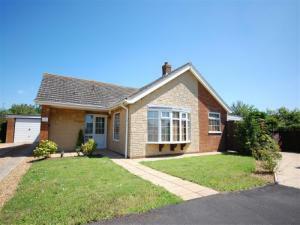 Seabreeze, a bungalow situated in the village of Heacham in North West Norfolk, is close to the beach and an ideal location to explore the attractions of the coastal town of Hunstanton, the delights of Sandringham and the Norfolk coast and countryside. Heacham is also famous for Norfolk Lavender with its centre, grounds and shop offering a range of lavender products.